Filled with powerful scenes, Nene Raju Nene Mantri might turn out to be the winner out of all the releases this Friday. Nene Raju Nene Mantri, to keep it simple, is the journey of a common man from being a money-lender to becoming the most powerful position in political scenario. Rana Daggubati rules the celluloid with his power-filled performance as Jogendra, whose decisions are driven by his love for his wife Radha, played by Kajal Aggarwal. The lead actors have lived the characters convincingly while impacting roles by Catherine Tresa and Navdeep assist the narration in keeping the viewers gripped with story. Jogendra, a money-lender by profession, is a middle-class man in a rural area who guns to become the most powerful politico in the state after he faces setbacks in his personal life because of the sarpanch, Pradeep rawat, in his town. After Radha, Jogendra’s wife, has a miscarriage because of the rude wife of sarpanch of his town, Jogendra realises that power can allow him to do anything and nothing can stop him. After he becomes a sarpanch, he then aims to get to the next level – an MLA. And the wishlist keeps growing as he gains new positions in his political journey. In his journey to become the Chief Minister of the state, the power gradually gets to his head which drives him into a path which becomes a force for his downfall. And as the downfall stars, Jogendra starts losing one after the other things including his wife, Radha. This drives the man to take an extreme step which one would not expect from a man with such nature. 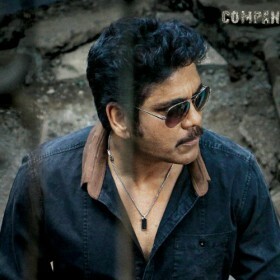 Rana Daggubati, as Jogendra, lived the character and proves, yet again, why his attempt to do different movies will pay off. As a scared common man to a powerful politico, Rana Daggubati will convince you why Jogendra is right and has his moments of glory. After Baahubali, Nene Raju Nene Mantri will stand as the best film in his career. Kajal Aggarwal as Radha has delivered an honest performance and looks elegant in her look. 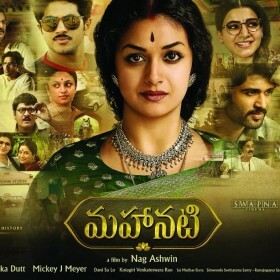 A supportive wife, the character Radha required the actress to essay subtle emotions which Kajal has done with finesse. Nene Raju Nene Mantri has brought out a new dimension in Kajal Aggarwal, which viewers might not have seen earlier. Catherine Tresa, playing a journo, leaves an impact on the viewers with different shades in her character. Navdeep, as one of Rana’s men, does a decent job but one might feel that a little more run-time for him wouldn’t have harmed the screenplay. Ashutosh Rana as one of the baddies in the film proves yet again why he is a powerful performer onscreen. Ashutosh surely knows how to balance the performance and the emotions in a character, and Nene Raju Nene Mantri is no exception. Posani Krishna Murali continues to don similar roles which he has been playing in the recent past. Nene Raju Nene Mantri ends with a message which will leave the viewers thinking about it. The makers and Rana, specially, have attempted a different narration to the story which might be an old formula. 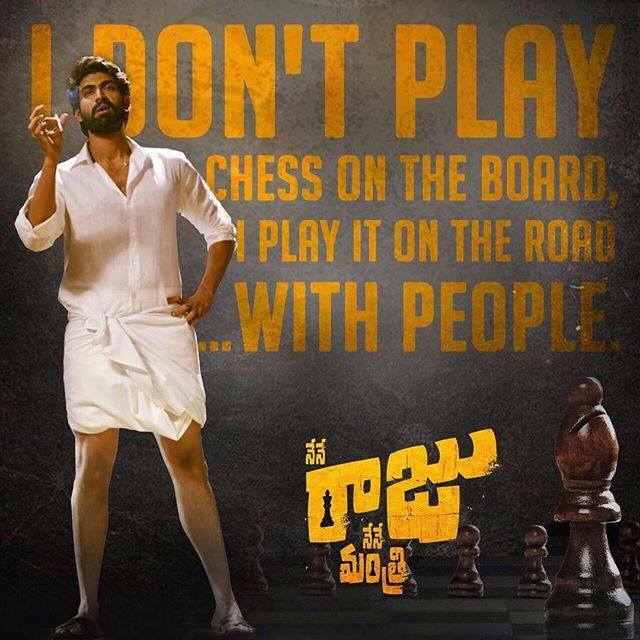 Looks like Rana Daggubati’s attempt to break the stereotype in Telugu cinema has started taking gradual steps in the right direction. Director Teja, who is kind of making a comeback in films after a hiatus, seems to have hit the bulls eye with Nene Raju Nene Mantri. Nene Raju Nene Mantri is unlike his previous films and seems to have a new approach by director Teja towards cinema.